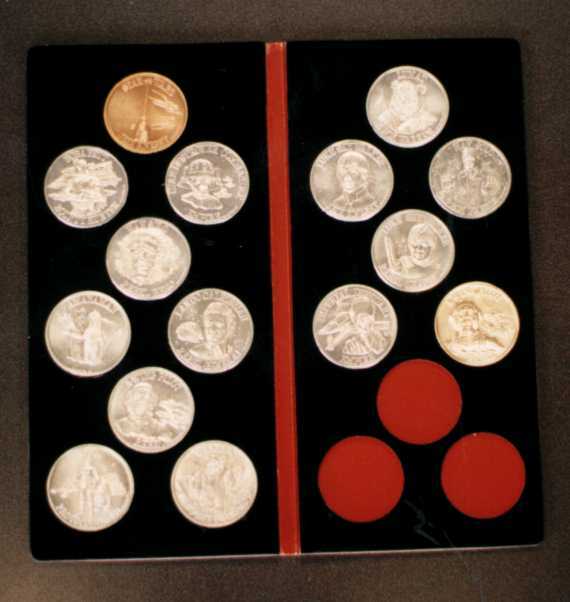 The album holds eighteen coins as shown in the picture of the inside of the album. This album was going to be offered as a mail away item on the 93-Back Power of the Force cards. This prototype is made of cardboard, glue, and felt--surely not what the final product would have been. Also notice that in the top left coin position is a 63rd coin. At the time this entry was originally written this was only the fifth example to surface. Two others were also discovered through this source which brought the total at the time to seven. As of 2008, far more than seven examples are now known to exist.